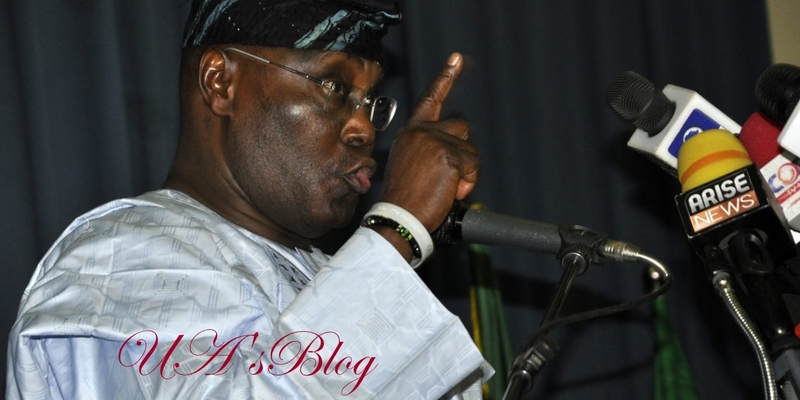 The presidential candidate of the Peoples Democratic Party (PDP), Nigeria’s main opposition party in last month’s Presidential election, Alhaji Atiku Abubakar says data from the server of the Independent National Electoral Commission (INEC) revealed how his votes were reduced in 31 states and the Federal Capital Territory (FCT). We report that Abubakar, a former Vice President of Nigeria, made the claim in a petition he and his party filed before the presidential election tribunal. The PDP Presidential candidate said he defeated President Muhammadu Buhari with 1,615,302 votes. Abubakar said data from INEC server showed that he actually polled a total of 18,356,732 votes to defeat President Muhammadu Buhari, who had 16,741,430 votes. We, however, report that the result declared by INEC from the 36 states and the FCT, showed that Buhari polled 15,191,847, while Abubakar came second with 11,262,978 votes. The petitioner said smart card readers deployed by the commission, in addition to accreditation, equally transmitted electronically the results of voting from polling units directly to INEC’s server. According to the petitioner, the commission published numbers of registered voters before the election but recorded a totally different figure in its Form EC8D (A). A breakdown of the 174-page document showed the electronic collation of results state by state as of February 25, showed that the Presidential candidate recorded 664,659 votes in the electronic results from the server in Abia state, against the 219,698 votes recorded by the commission. According to the document, Abubakar had 646,080 votes in Adamawa, instead of 410,266; Akwa Ibom 587,431 votes, instead of 395,832; Anambra 823, 668 votes, instead of 524,738; Bayelsa 332, 618 votes, instead of 197, 933; Benue 529,970 votes, instead of 356, 817; Borno 281,897 votes, instead of 71, 788; Cross River 572, 220 votes, instead of 295, 737 recorded by the commission. In other states, the document said the PDP Presidential candidate socred 778,369 votes in Delta, instead of 594, 068; in Ebonyi 565, 762 instead of 258, 573; Edo 677,937, instead of 275,691; Enugu 698,119 instead of 355,553; FCT 419,724 against 259,997; Gombe 684,077 against 138,484; Imo 485,627 against 334,923; Jigawa 539,522 against 289,895; Kaduna 961,143 against 649,612; Kano 522,889 against 391,593; Katsina 160,203. Kebbi 493,341 against 154,282; Kogi 504,308 against 218,207; Kwara 353,173 against 138,184; Lagos 1,103,297 against 448,015; Nasarawa 344,421 against 283,847; Niger 576,308 against 218,052; Ogun 438,099 against 194,655; Ondo 451,779 against 275,901; Oyo 527,873 against 366,690; Sokoto 552,172 against 361,604; Taraba 442,380 against 374,743; Yobe 306,841 against 50,763 and Zamfara 379,022 against 125,123. According to the petition, the commission inflated the scores of the party in Osun and Plateau states. The petition said PDP recorded 337,359 votes in the data available in the server, but the commission credited the party with 337,377 votes; likewise in Plateau, the party garnered 273,031 votes, against the 548,665 recorded by INEC in its final collation.